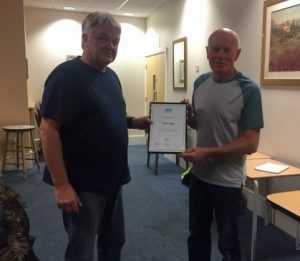 Our award winning Derby Group was delighted to be able to present yet another Pass Certificate to one of our newest Members recently, Terry Page. Terry is shown receiving his Test Pass Certificate from one of our newer Observers, Dave Bettison. Congratulations to you both on achieving this success.